How-to videos are the new viral content. From tutorials to educational videos, 91% of smartphone users consult their mobile device for help in completing various tasks. How-to videos on YouTube are increasing in popularity: searches for how-to videos have gone up by 70%, with viewers consuming more than 100 million hours of how-to videos a year in North America alone. Creating a how-to video is a great way to demonstrate the benefits of your product or service without being too sales-y. Wondering where to start? Here are some tips and templates from Biteable to get you going on your first how-to video. What makes a good how-to video? There are tons of great tutorials and how-to videos out there. So how do you make yours stand out? If you’re wondering what words to use in your title, consider doing a quick scan of Google to see what keywords are doing well. Looking at the top search results in your specific topic can help narrow your focus to what people actually want to watch. Once you have your topic, you need to hit the perfect balance between engaging and informative. The best videos strike a middle ground between visually interesting content and a topic that can be broken down into bite-sized pieces for your audience. Keep your video to-the-point, use an engaging title, and consider adding captions or animations for audiences watching without sound. The best how-to videos keep it simple, short, and sweet. You don’t need to use high-tech techniques to get your point across. Here are some examples of how-to videos that are both effective and engaging. For anyone who’s ever struggled to fold a fitted sheet, this how-to video is a godsend. It’s a simple task, but injecting this video with lots of personality makes it extremely effective, no animations, text, or graphics needed. This video relies on Stewart and her guests laughing at themselves and having a good time, while demonstrating how to resolve a common problem threatening your linen closet. What are the chances you’re going to need to know how to escape quicksand? Slim, probably. 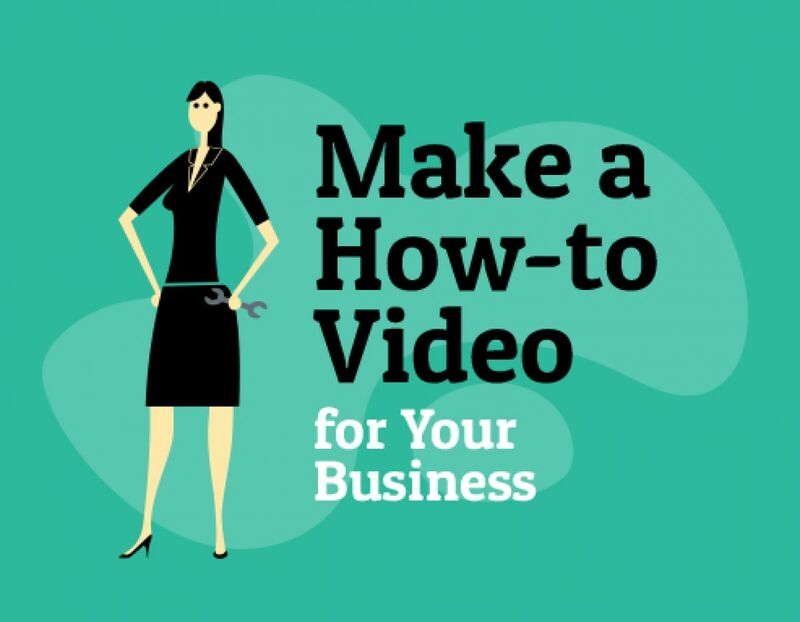 Nevertheless, this video from Tech Insider showcases the best elements of creating a how-to video. The title draws viewers in immediately, while the captions and animations clearly explain a complicated concept. The real show-stealer? The video doesn’t require sound. Keep in mind that most people on social media watch videos on mute and cater your content to viewers on mobile or at the office with subtitles or captions. The title of this how-to is perfect: lots of people would google this specific phrase. Bustle’s how-to shows viewers how to DIY and save money covering the two main motivations viewers have for seeking this kind of content. It’s also a how-to video on the shorter side. Research shows that videos that are under 2 minutes get the most views. This video combines text with a script, keeping it easy to follow and straight to the point. Once you have the right topic in mind, start with the title. Viewers tend to make a decision to keep watching or move away within the first few seconds of watching a video. That’s why your title needs to be the hook that draws them in. With this template, clear, simple steps take center stage. You can add in graphics, photos, and other visuals to make this presentation pop. This template gives you a great foundation to start building your narrative without getting complicated. You don’t need to be an animation expert to create a how-to video with a fun cartoon character. Using Frank, Biteable’s cute and curious how-to host, customize this template. Frank can become your viewer’s guide as you walk them through some simple tutorials and teach them how to create, build, fix, or learn anything. Not interested in a straightforward how-to? Consider using a guide template to walk viewers through your specific area of expertise. Instead of steps, list tips; you’re still walking someone through a process, but with a do’s and don’ts approach rather than a prescriptive list. You don’t have to use the templates above. Biteable has plenty of templates for just about anything you can think of, so check them all out here. After selecting a template, you can add your own footage clips, photos, text and audio to make the video look and feel like your own. Use short sentences with uncomplicated instructions, and make sure to keep your video to around 40 seconds! Then upload your video to YouTube and watch your audience grow.